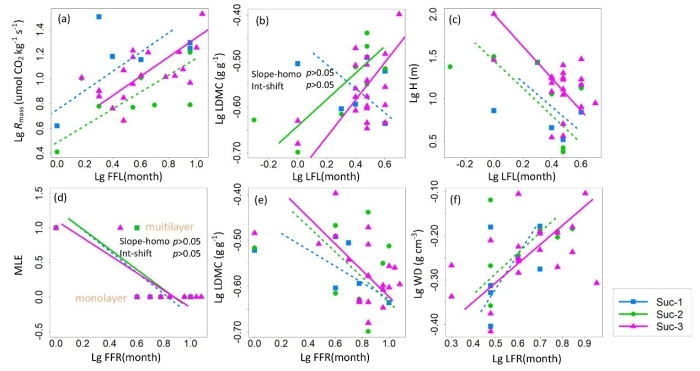 Are reproductive traits of dominant species associated with specific resource allocation strategies during forest succession in southern China? Plant reproductive traits (e.g. seed traits, reproductive phenology, etc. ), which can reflect the adaptation of plants to the environments, are important indicators for predicting the impacts of global climate change on plants and vegetation. However, due to the great variances in reproductive strategies among different species, the establishment of relevant prediction models still faces some problems. The relationship between plant reproductive strategies and resource utilization types is an important scientific issue that needs to be solved urgently. Under the guidance of Dr. REN Hai and others, HAN Taotao, the Ph.D student of South China Botanical Garden, Chinese Academy of Sciences, investigated the relationships between 8 reproductive traits and 18 functional traits of leaves, stems and whole plants during the succession of a subtropical forest in Dinghushan Nature Reserve. The results showed that in the early succession, most leaf functional traits of dominant species were significantly correlated with their seed/fruit dispersal modes and pollination patterns. In the middle and late succession, most leaf traits and other functional traits were significantly correlated with flower and fruit phenology. The trade-off strategy between plant reproduction and growth gradually change with succession. In addition, this study also showed that plant reproductive strategies were associated with specific resource utilization types, the acquisitive species may invest less energy and resources in reproduction than conservative species in all successional stages. This study was published in Ecological Indicators. The research was funded by the National Natural Science Foundation of China. Figure 1. 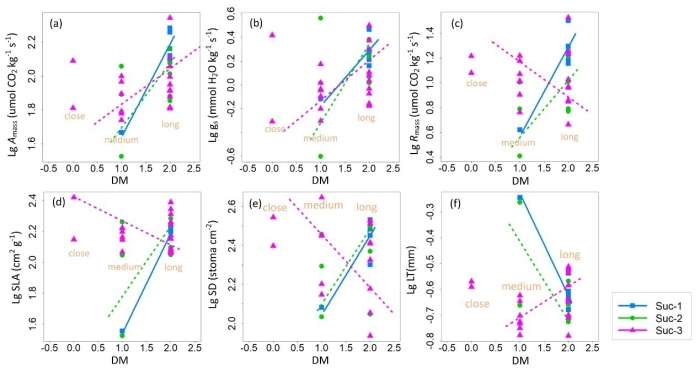 Relationships between seed/fruit dispersal mode (DM) and other plant traits in three successional stages in Dinghushan. Figure 2. 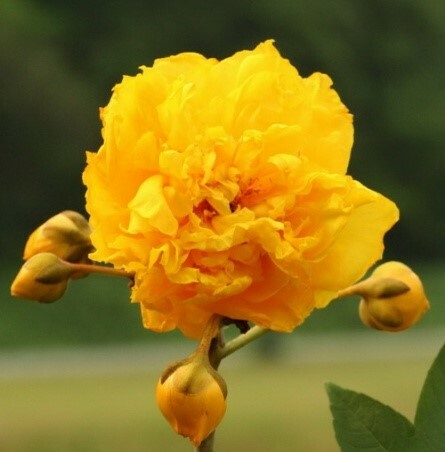 Relationships between flower and fruit phenology traits and other plant traits in three successional stages in Dinghushan.